This gloves made with PE,13 gauge seamless knitted. 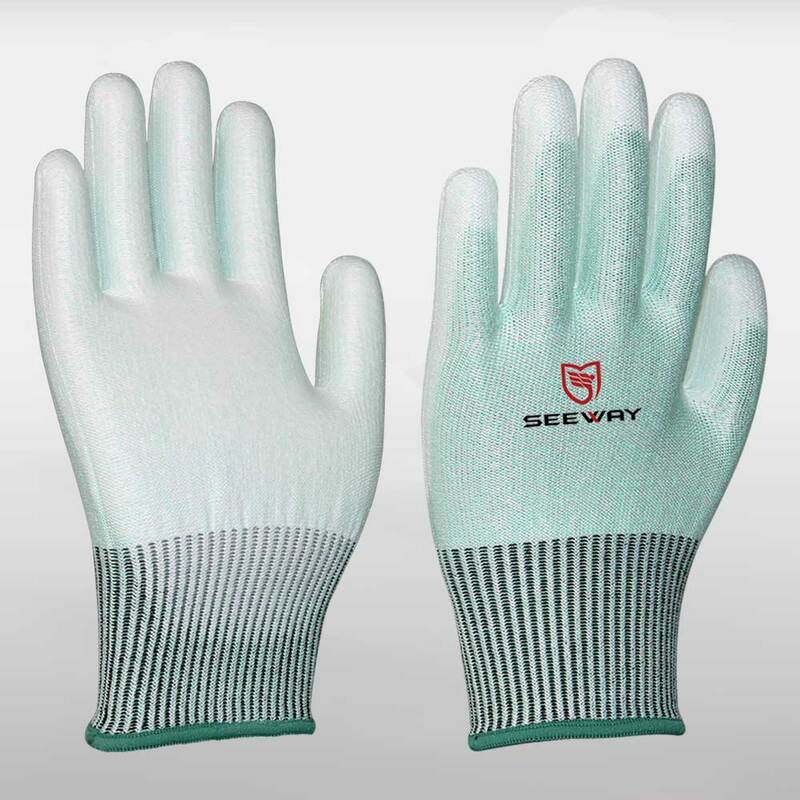 It provide excellent cut resistant protection and it is very soft, make your hands safer and more comfortable to wear. PU coating is soft and flexible which offers better dexterity while handling precision instrument and electronics; strength of coating is very good and thin which provides better tear, abrasion and puncture resistance. It is also breathable which makes it comfortable to wear. 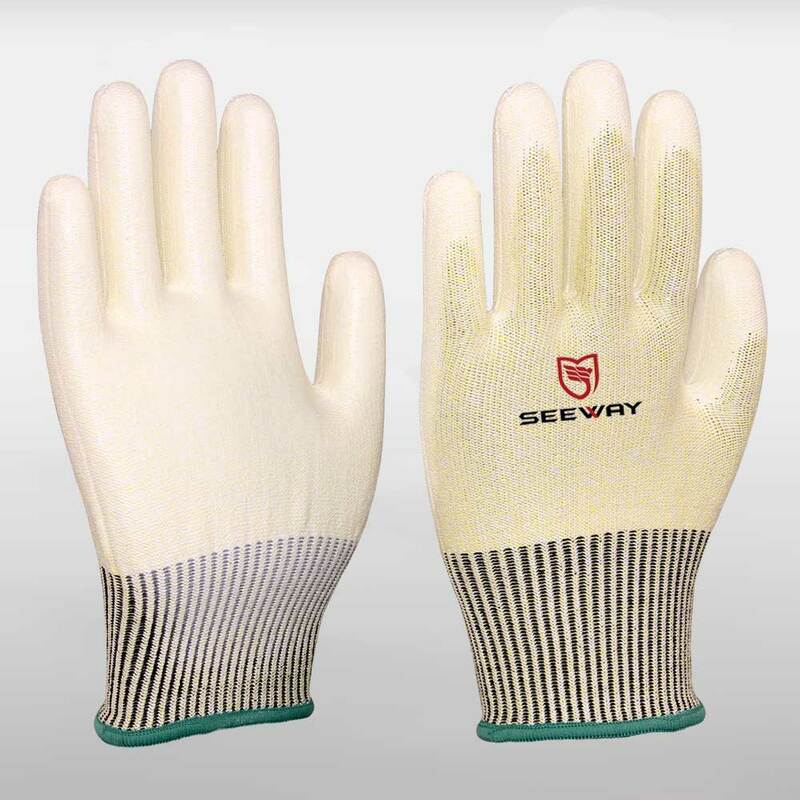 Ideal for construction,woodworking,glass,steel,ceremic,sheet metal and machinery industry.etc.